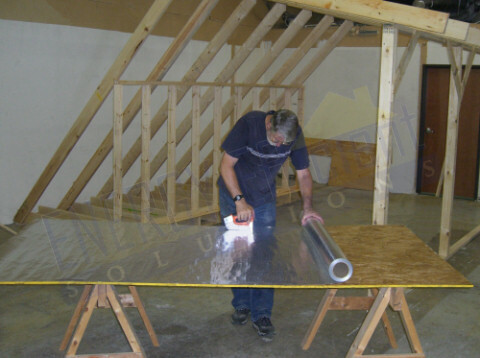 Why pay a premium for radiant barrier roof sheathing when you can easily make your own for a fraction of the cost? 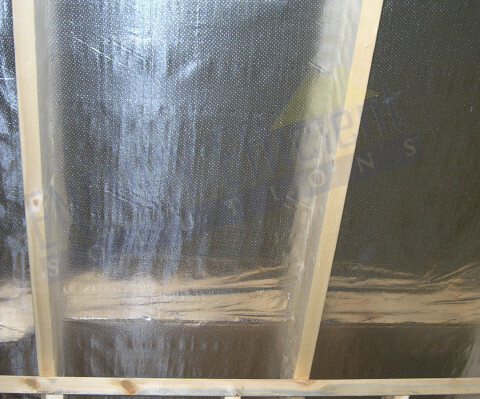 Simply unroll our ARMA FOIL™ radiant barrier on top of your OSB or plywood and staple in place. The 48 inch wide material fits perfectly. Install the radiant barrier roof decking with the aluminum side facing the attic space below.